Contains active ingredient : Cefdinir which is in a group of drugs called cephalosporin (SEF a low spor in) antibiotics. It works by fighting bacteria in your body. Cefdinir is used to treat many different types of infections caused by bacteria. Infections caused by susceptible organisms. Upper & lower resp tract, skin & soft tissue infections, UTI. 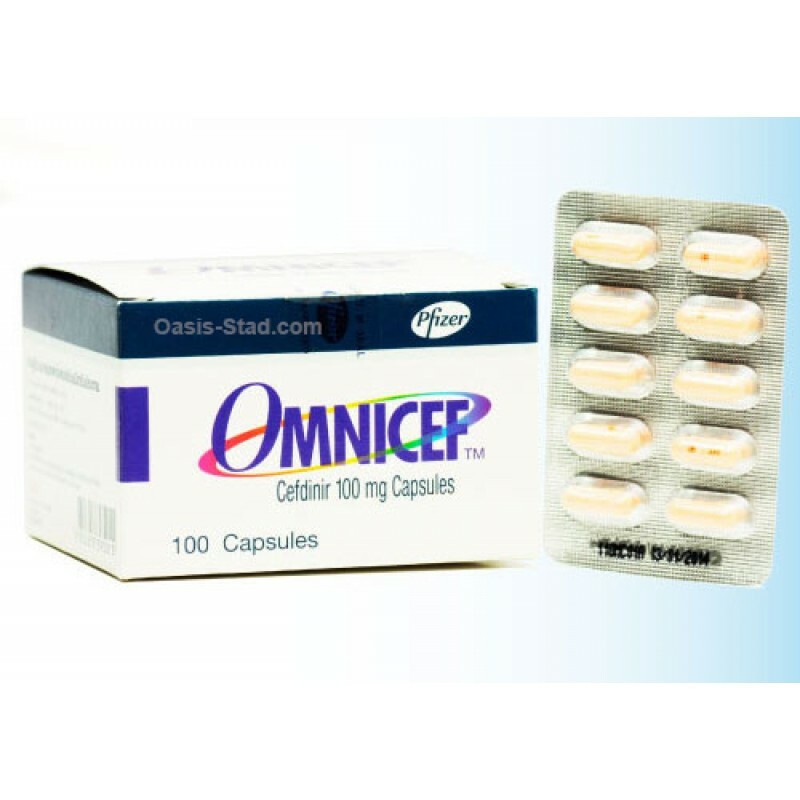 Treatment of the following infections caused by Omnicef-susceptible strains of Staphylococcus sp, Streptococcus sp, Streptococcus pneumoniae, Peptostreptococcus and Propionibacterium spp, Neisseria gonorrhoeae, Branhamella catarrhalis, Escherichia coli, Klebsiella sp, Proteus mirabilis, Providencia sp and Haemophilus influenzae: Folliculitis, furuncle, furunculosis, carbuncle, impetigo contagiosa, erysipelas, phlegmon, lymphangitis (lymphadenitis), felon, suppurative paronychia, subcutaneous abscess, hidradenitis, infectious atheroma, chronic pyoderma. Uterine adnexitis, intrauterine infection, bartholinitis.